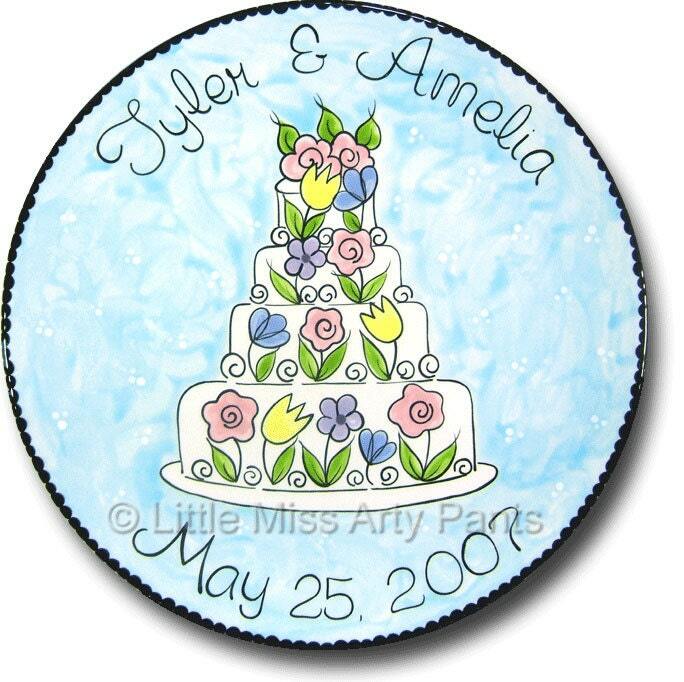 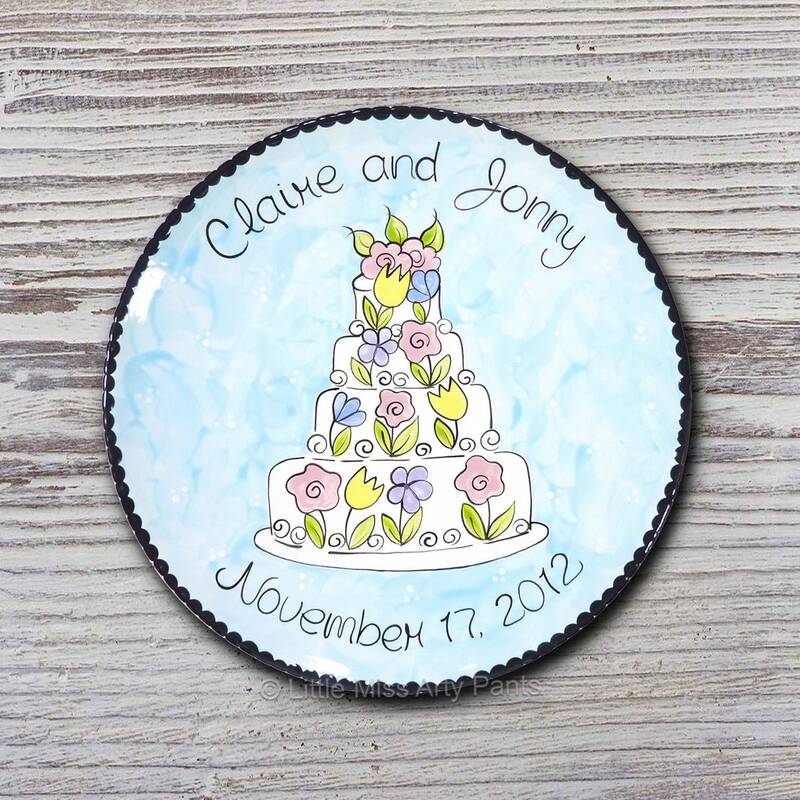 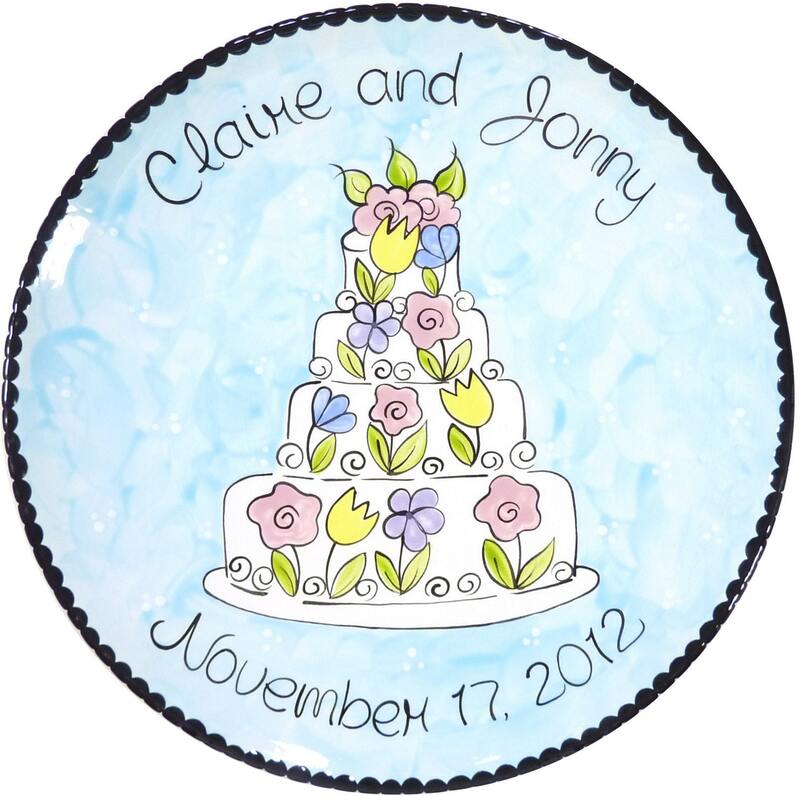 This personalized and hand painted 11" ceramic plate with colorful flower wedding cake will make a special Wedding Gift. 1. 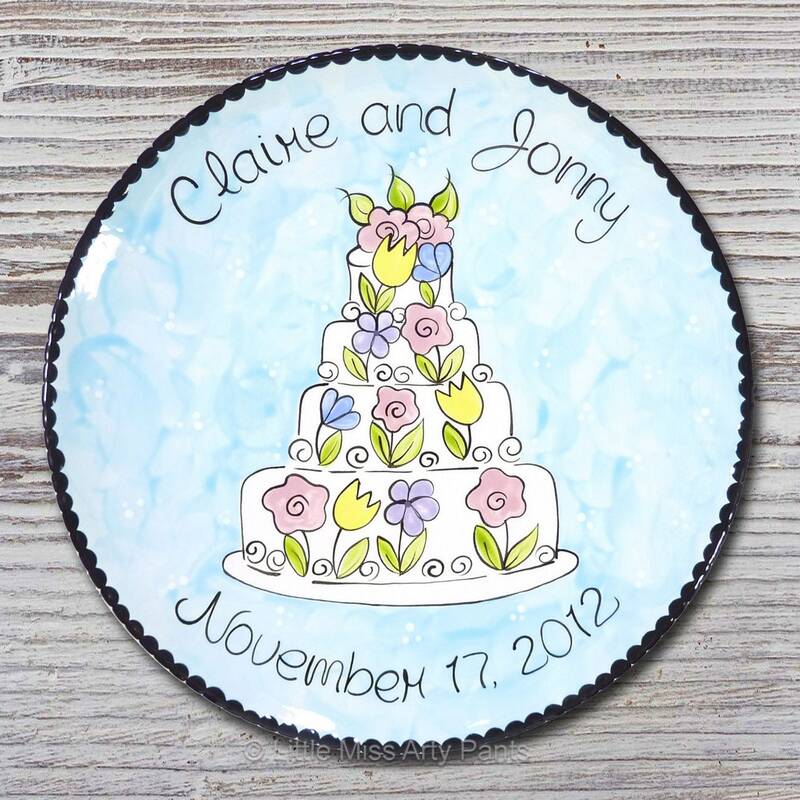 Names of Bride and Groom and the Wedding Date.